The world’s finest department store brings the greatest international brands to iPhone for the first time. Browse daily updated luxury brand news, add in-store events to your iCal and discover the latest must-haves – wherever you are. In-store, navigate your way around seven floors and discover over 3,000 of the world’s most premium brands. 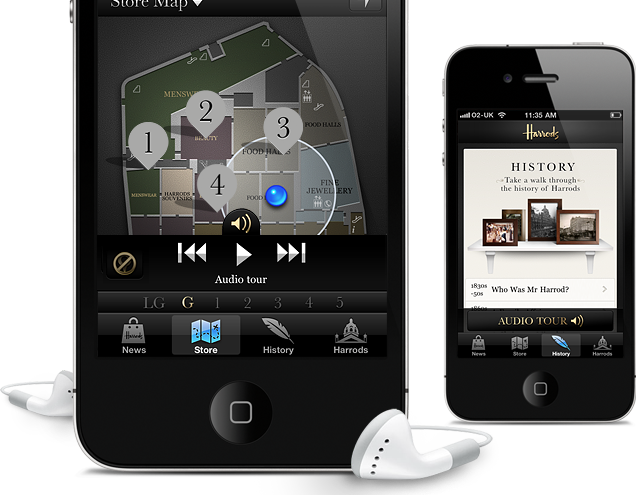 Discover the history of Harrods, take an audio tour around points of interest and create a shopping list for your visit. 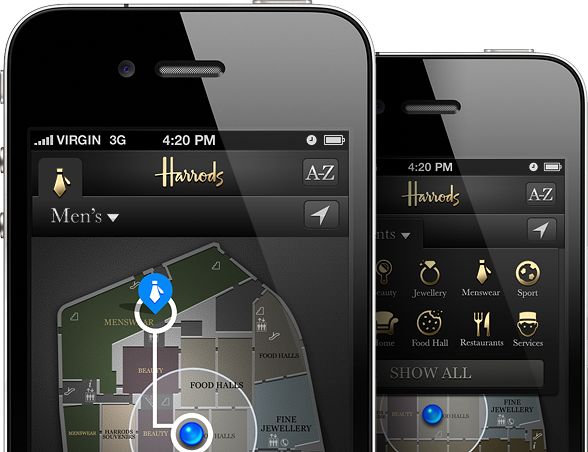 Swipe between the seven floors and view the brands within each department by touching the pins. Tap the locate me button and let the app display a route to take you where you want to go. Browse daily updated luxury brand news and in-store events. 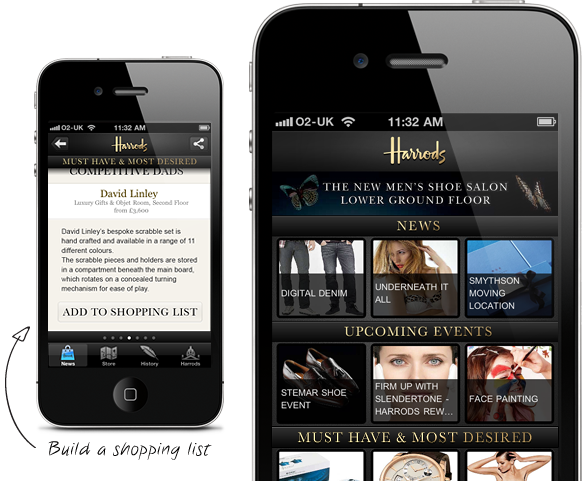 Add events to your iCal and view the Harrods live Twitter feed. Take an audio tour of the store. Key points of interest are highlighted and the history of Harrods is explained. 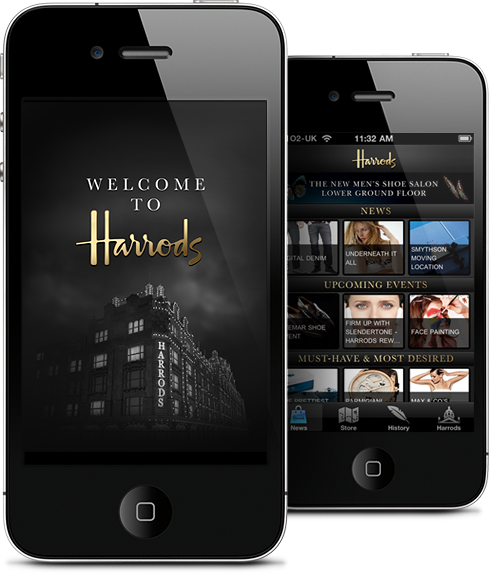 Harrods are an innovative brand and wanted to provide their legions of visitors with a modern guide to the store. They noticed that visitors, armed with a printed store guide and a smart phone, were frequently asking staff for directions. Bringing all the brand location information inside the app provided the perfect solution. Imano’s challenge was to design an engaging user experience and combine it with an intricate technical resolution. Once Imano had the design agreed with Harrods, the accurate listing and location of each brand became the major hurdle. Testing, collecting and improving the results from the iPhone’s GPS functionality provided a starting point, but to deliver consistently reliable results the app had to be trained to dismiss random results by calculating the strongest probability of your current location. The app is available in the app store and is soon to be released on Android. It was featured as an app of the week in May 2011. The app has 26,000 downloads (and counting) in its first 6 weeks. Featured as app of the week in the iTunes store during launch week. It was also featured in the “What’s Hot” section. a wide range of industry websites.